The pilot I interviewed on Thursday about Brian Williams is no longer standing by his story. That pilot, Rich Krell, told me he was flying the helicopter Williams was on in Iraq -- an account now contradicted by several other soldiers. On Friday morning, Krell told me that "the information I gave you was true based on my memories, but at this point I am questioning my memories." This week, I've been urging Brian Williams to be fully transparent about what happened on his embed in Iraq and about why his story evolved over the years. I'm going to practice complete transparency. When I appeared on CNN's "New Day" on Thursday morning, I cited what the Stars and Stripes newspaper had reported the day before -- that the helicopter carrying Williams was an hour away from the location of the rocket-propelled grenade attack on March 24, 2003. Krell was watching, and he tweeted at me: "Saw your interview on CNN this AM. Your facts are wrong. 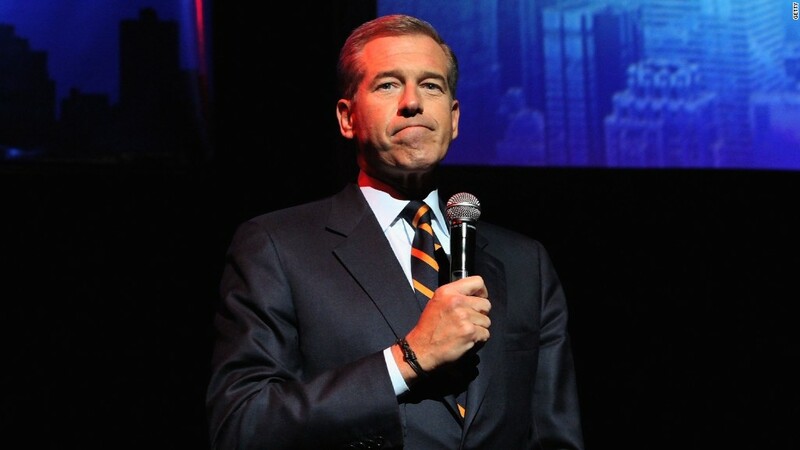 I was the Pilot in Command of the CH-47 that Brian Williams was on." I replied with my phone number, and Krell called me. I didn't assume he was who he said he was, but I was intrigued by his story and wanted to check it out. On the phone, Krell told me that he was at the command of the "second bird" in a formation of three Chinooks, with Williams riding in the back of the "second bird." He said the "first bird" was struck by a rocket-propelled grenade, contradicting what Williams said as recently as last Friday, that Williams was aboard the helicopter that was hit. But Krell said all three of the helicopters came under "small arms fire," lending support to the stories Williams told over the years about being "under fire" in Iraq. Krell spoke confidently and matter-of-factly. He joked about how Williams seemed uncomfortable in the field, whereas fellow NBC correspondent Ann Curry was "awesome" to be around. Afterward, I emailed some of his quotes back to him, to fact-check, and he affirmed all of it. I looped in my editor at CNNMoney and started verifying Krell's identity and story. I asked myself: was Krell a "plant?" Did he invent his Twitter account to trick me? No -- his account dated back to 2012. I cross-referenced his Twitter and LinkedIn accounts and other Google results for his name. I found what he'd written about Iraq, and what had been written about him. Importantly, I found a picture of Krell standing with Williams in a book published by NBC News about the Iraq War. Perhaps most importantly, I contacted the NBC News public relations department. When I asked about Krell's name, the P.R. person replied with a message labeled "off the record," so I can't quote it here. Suffice to say, the reply gave me more confidence in Krell's account. Then I wrote a CNNMoney story, quoting Krell at length. "He messed up some things and said some things he shouldn't have," Krell said -- while backing up Williams' accounts of "small arms fire." I also helped set up Krell's Thursday afternoon interview on CNN TV. The newspaper Stars and Stripes published a story on Thursday afternoon contradicting Krell's account. I called Krell and he told me, "No, that's not what happened." Krell now works for a military contractor. He served in the Army from 1983 until 2007. On Thursday night, two others, Christopher Simeone and Allan Kelly, told The New York Times that they -- not Krell -- had piloted Williams' helicopter, and that "they did not recall their convoy of helicopters coming under fire." "Simeone and Kelly said only two helicopters were in their group, from Company B of the 159th Aviation. They said Krell was piloting the first helicopter. Simeone and Kelly were pilots on the second Chinook, and Miller was in their crew." The paper continued: "All three said Williams was riding with them, not with Krell. They all said neither bird took fire at any time that day." "Good morning. The information I gave you was true based on my memories, but at this point I am questioning my memories that I may have forgotten or left something out." He said, "For the past 12 years I have been trying to forget everything that happened in Iraq and Afghanistan; now that I let it back, the nightmares come back with it, so I want to forget again." He concluded, "The men in that article deserve respect. Please understand." Bottom line: this pilot is revising his story - and, because of that, I'm revising mine. What initially looked like an account that supported some of Brian Williams' war story -- that he came "under fire" that day -- no longer appears to be true.